This new spike offering from Champ provides maximum traction, stability and durability. 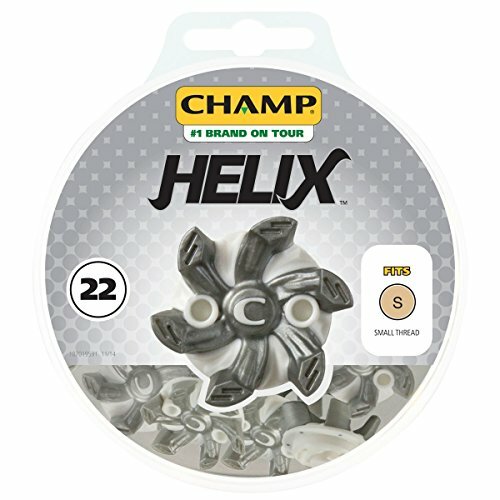 Champ Helix golf Spikes green-friendly design minimize marks on the Green and reinforced wrench holes formed in rigid material create easy use with any 2 pin standard golf wrench. The signature C visible wear Indicator turns solid when Spikes need to be replaced.